June 6, 2013  A type of bird flu that appeared in China a few months ago has infected more than a hundred people. Some scientists are worried that this virus has the potential spread globally. 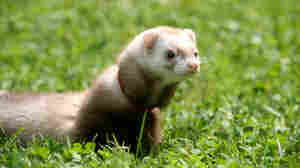 But a look at the virus's genes suggests the pathogen doesn't have the typical features of pandemic. May 28, 2013  Doctors in China concluded that early treatment of bird flu cases with Tamiflu could help patients even days after infection. 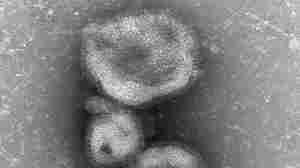 But the doctors also found in two cases that the virus apparently became resistant to the antiviral drug. April 24, 2013  Concerns about the flu have intensified as the cases and fatalities mount. Transmission of the virus between birds and humans appears to happen fairly easily. It's unclear whether it can spread from one person to another. 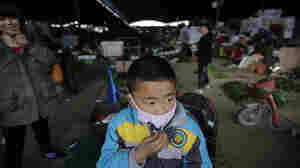 April 17, 2013  A new strain of bird flu has sickened 82 people and killed 18 in China. 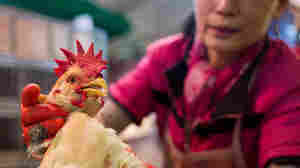 But many people who have caught the H7N9 flu say they hadn't been near poultry or other birds. So what's fueling the outbreak of the virus? 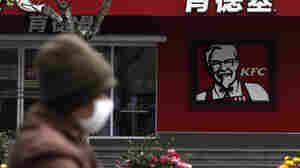 April 14, 2013  Health officials in China say they've confirmed 11 new bird flu diagnoses, bringing the number of H7N9 infections to 60, according to the official Xinhua news agency. The virus, which began in eastern China, has now sickened at least one person in Beijing, and two in the central province of Henan. April 12, 2013  Infections with a new flu strain have increased, with three to five cases reported daily. 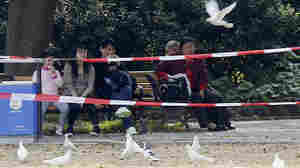 The virus, carried by birds, doesn't appear to spread between people. Still, health officials in the U.S. are preparing to screen travelers and develop a vaccine.